In this contribution by Argentinian therapist, Matías Castagnola, member of the Stillpoint Counselor Community in Berlin, we follow his personal journey of training to become a therapist, but also the process of discovering the fault lines between the often monolithic institutional and societal values as they are infiltrated in public clinical practice, and the position of the therapist in their own practice facing another individual in need for help. 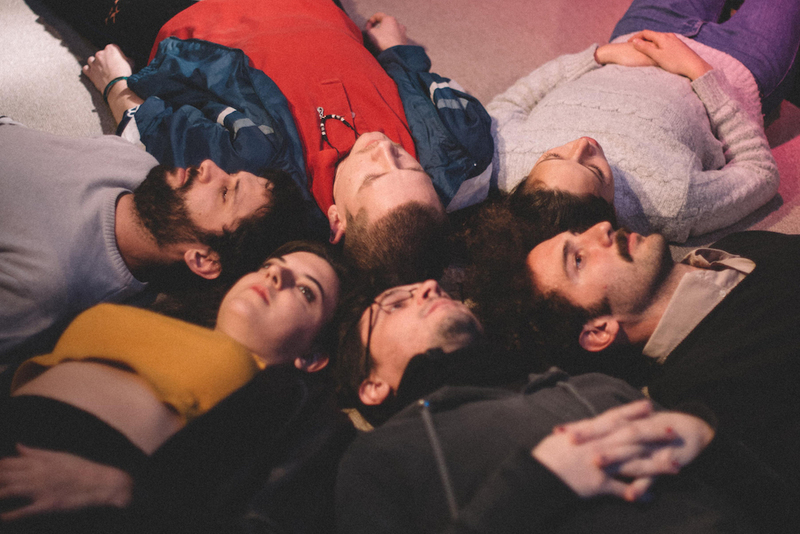 This discovery is made possible by Castagnola's professional involvement in forms of group therapy that use artistic forms, such as theater, to help patients achieve deeper awareness about their struggles. The moral stance of the therapist/therapy turns out to be a decisive element when it comes to providing professional help to those in need of personal change, and just as decisive is the form in which this help is delivered. It might have begun back in 2012, while starting to work as a therapist, when I began to attend theatrical plays. By “it” I refer to my relationship with psychology and drama, which went from a position in the audience to that of a performer. I strongly believe that this is the most organic way to face integration within oneself, to experience both the side that is under the spotlight, and the one that lies in the dark. The experience of being part of an audience caused in me such curiosity that it seems easy now, with six years in between, to understand what drew me to develop theatre workshops, take part in a play, and, simultaneously, move abroad to continue my professional work as a psychologist. One could say I was seduced by a common possibility certain therapies and theatre reveal: a new relationship between morality and drug abuse treatment, made possible by the integration of the arts in therapy. My studies began in 2006 at The University of Buenos Aires, which has a deeply rooted psychoanalytical approach towards Psychology as a field of study. Taking into account how Freud’s theory is merged in Psychology degrees, The U.B.A. – as it is called in Buenos Aires – distinguishes itself by being Lacanian, though a Freudian path is also available. In my case the pathway went from a Lacanian focus to a Jungian one. Argentina does not offer the amount of formal Jungian Studies that Europe does, though in recent years the possibility of undertaking Jungian Studies, and the formal recognition required, has begun to develop. Nevertheless, I sought out and found my way into Jungian supervision, analysis and study groups. Since the end of 2012 and until earlier this year, I developed my individual and group clinical experience in Drug Abuse Treatments in Buenos Aires, working with families, and more often, with individuals. I had the opportunity to work in institutions with different frameworks, methods and therapeutic aims. The teams in which I took part were always quite diverse. Professionals from a wide range of fields participated not only in weekly meetings, but also in clinical work, providing the possibility of experiencing what interdisciplinary work is all about. Buenos Aires was an engaging scene to complement my previous years as a student, and its psychotherapeutic field work offered a perfect combination between supply and demand. While the clinic presents itself as a continuous urgent demand – people die on a regular basis due to substance addiction – the young therapists joining institutions and working teams also have within themselves a restless drive to help, to heal, dealing many times with “furor curandis” syndrome (1). During those years I had the challenging opportunity of working in various institutions, three of which shared the field of Drug Abuse Treatments, albeit from three distinct working frames: psychoanalytical (strictly Freudian), Cognitive Behavioural, and Gestalt therapies geared towards treating both outpatients and inpatients, living in so-called Therapeutic Communities for years. The experience I gained has been more than useful not only when working with individuals, but also when trying to distinguish what I am not. Maybe there, in that latter statement, lies the reason for my move to Berlin: the persistent thought of what is it that I am not, coupled with a conflicting feeling when needing to embrace the position of “role model” as a therapist, since placing yourself as a “role model” is what these three institutions shared in their clinical practice. Another shared pattern is in the important place they accord to morality when framing treatment aims in meetings and supervision groups. And it is my uneasiness with this morality-informed work that provided me with the impulse to infuse clinical perspectives with a critical reflection on what place morality should take, first within oneself when in such an empowered position as that of a therapist-as-role-model. This empowered position is structurally undeniable when, as a psychologist, a patient walks into your practice craving for help. After participating in several types of workshops, I quickly found those related to drama to be the most authentically attractive. Though I would see my patients in various contexts throughout my day, I never saw them as I did when they attended drama workshops. Trying to make sense of the interdisciplinary environment in the workshops, I placed myself in the service of the participating actors and directors who were organising the activities so I could understand both the position of participant, and discover alternative ways in which I could work with this therapeutic approach, independently. The program I went on to develop brought together theory, patients, and professional actors, all with the purpose of creating a theatrical play, a play that could create the opportunity for healing, and reinterpret the patients' experience, both during treatment, and before. It would be a play that could take something spiritual and privately meaningful when explored in the context of Drug Abuse Treatments, and bring it out of the dark, representing the experience for the broader community. Finally, it would certainly be a play that made the possibility of bending the fixed patterns of morality, even if it was only for a few hours a week. The relief was immediate when I saw my clinical work framed in a theatrical context. Such relief may have to do with the over-extended perspective on the role of moral values in the current institutional treatments of drug abuse. Bottom line, the standard language used for approaching symptoms, and the treatment itself, usually relies on expressions of morality that find their origins in the Roman Catholic and Apostolic inheritance: “You are either with us or without us”, “The disease you have is chronic and will last your lifetime, just like diabetes”, “In order to take part in this treatment you need to be clean”, “If you stay sober you will be able to find a job and build up a family”. One could go on stating disturbing quotations like these that are spoken with no caution at all. Also relevant is the relationship between the individual practice and the confessionary that results from such moralizing. In this model, it would seem as if, in order to explore our shadows as human beings, we would need a delimited private room and someone to talk to who won't tell anyone about us. The framework of Psychodrama Workshops (2) clearly established a reality which differed structurally from the individual-and-confessor model. Even though it might seem innocent to state that morality stayed out of those workshops, the tools of working with masks and dissociative methods usually showed that the insight in patients was both revealing and disturbing because of that seeming lack of morality statements. What stood out was: what is right and wrong in society, what is expected of one and what is not, and what the addictive part in oneself is like. All these aspects were bent by the gravity of those spaces, during those hours, and they could express themselves in a different language. This program was held in 2015, between February and November. The drama director headed the writing of the script, took care of the activities to be developed, attended workshops with patients, and decided which path the theoretical elements would follow in the theatrical portion of the activities. Some of the activities proposed by the drama director or from the psychological perspective were integrated in other therapeutic contexts. For example, when working around the concept of “Masks” patients would, before the theatre workshop itself, build their masks in the art therapy workshop within the same treatment program. By the beginning of 2016, the play was written and ready to be shown in theaters. The title was “Kintusgi – o el arte de la resiliencia (the art of resilience)” (3). The name implies many concepts, but the key meaning for the piece is the notion that when something is broken and then repaired the added complexity makes that something – or someone – even more valuable. Following this belief, patients could reach a level of self-awareness and self-worth, feeling empowered and enlightened with regard to their struggle with addiction, enabling them to gain valuable perspective on how they stand with respect to others who are not drug abusers, or even other users themselves. 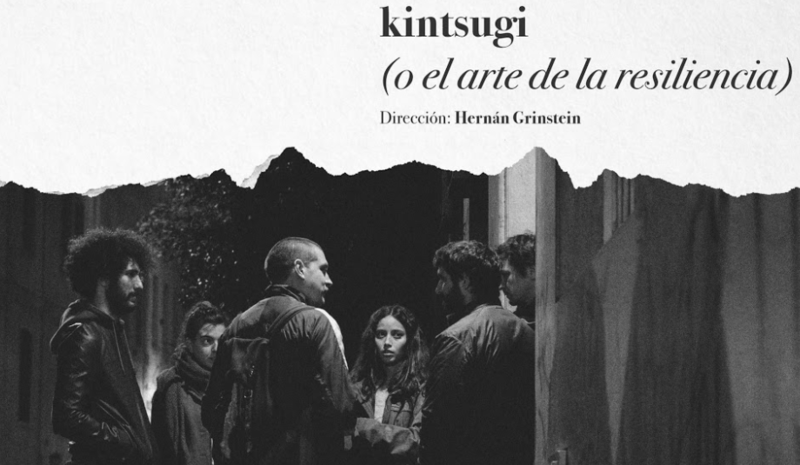 It’s been now three years since “Kintusgi – o el arte de la resiliencia” was performed in theatres in Buenos Aires. After creating a cooperative society between all the ones involved in the project, and seeing the theater play as an artistic intervention in different institutions, we were deeply satisfied with the results, and also with the process of transformation within ourselves as organisers, including a new perspective on the role of morality in treatment. This is the issue I believe needs to be highlighted: the enrichment of the clinical perspective from an artistic point of view. What’s more, questioning the moral position oneself takes when working therapeutically. 1. Furor curandis was the expression used by Sigmund Freud to designate the desire of the analyst to cure. An excess of care – with good intentions – can be abusive, interfering and impeding analytical work, by supposing an overvaluation of the person who offers help. 2. Developed by Dr. Jacob Moreno, Psychodrama is an active, often cathartic, and creative psychotherapeutic approach that uses guided drama and role playing to work through problems. One or more patients act out by improvisation situations related to a personal problem or a problem common to the group, often before an audience of therapists and fellow patients.